Vachon Joins ATAS as Director of Solar Technology | ATAS International, Inc.
ATAS International has appointed Christian Vachon to the position of Director of Solar Technology. Vachon has over 20 years of experience in the renewable energy business, mostly in solar thermal, PV and air heating systems. His work with engineers, architects and HVAC contractors led to the design, sales and installation of close to 2,000,000 ft2 of solar air collectors around the world, in a wide variety of applications: building space heating, industrial processes, institutional and commercial buildings, armed forces facilities, produce and wood dryers, agricultural barns, residential heating and ventilation systems. With a Master’s in renewable energy engineering from the University of Melbourne, Australia, Vachon has worked in France, Austria, Australia and Canada. 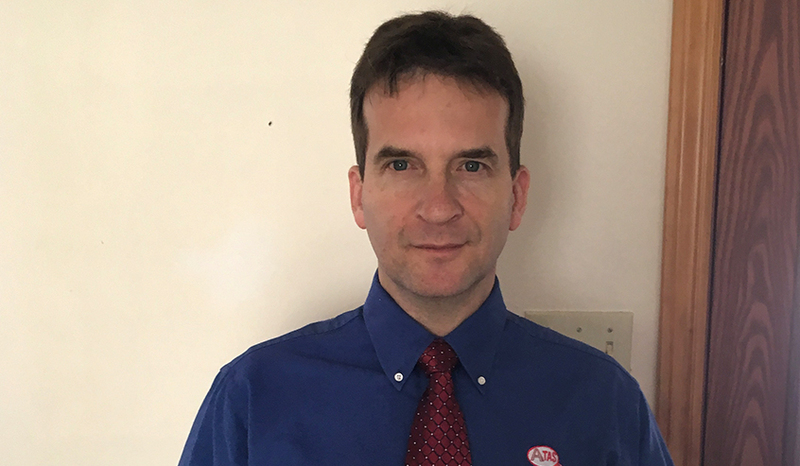 He has joined the ATAS team to provide strong engineering and sales support for promoting ATAS’ InSpire solar air collector to all US and International sales representatives and customers around the world. Vachon’s areas of expertise include direct sales and sales support of solar systems, solar air heating and cooling systems design and engineering, and architectural and HVAC integration. He has experience with design, drafting, and specifying with architects and engineers. His knowledge of air preheating and energy recovery, energy calculations and simulations, and controls, automation and monitoring of energy systems performance will be very valuable in this new position with ATAS. Vachon is fluent in French, English, German and Spanish.